The Tuck 4-Leg Side chair is a version of the award-winning Tuck Stacker. 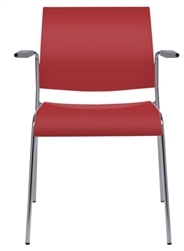 Available with or without arms as well as an upholstered seat which includes shroud as a standard. This chair can stack up to 20 units high on a dolly or 12 units high if stacking on the floor. 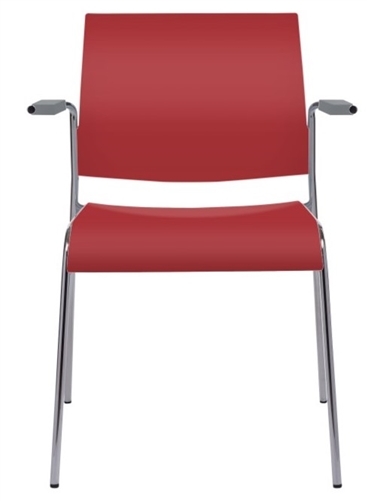 With an upholstered seat, the Tuck 4-Leg Side chair can stack 12 units high on a dolly or 6 units high on the floor. FEATURES: Stacks 20 units high on a Dolly. FABRIC: 200+ textiles to choose from (upholstered seat only). Com .075 YARDS. WARRANTY: 10-year comprehensive parts and labor.